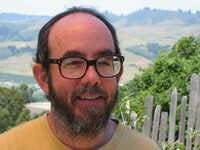 Paul Fleischman grew up in Santa Monica, California. The son of well-known children's novelist Sid Fleischman, Paul was in the unique position of having his famous father's books read out loud to him by the author as they were being written. This experience continued throughout his childhood. Paul followed in his father's footsteps as an author of books for young readers.